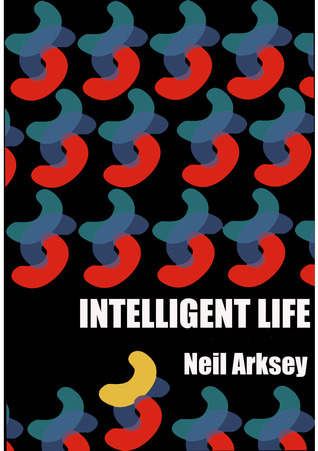 Intelligent Life by Neil Arksey Review + Author Interview - My Life Is A Fairytale That Will Never End. The quiet unassuming one in a family of high-achieving attention-seekers, Jonathan is nevertheless filled with a deep curiosity about the world. And when his father, a drink-addled journalist, mysteriously vanishes overnight, despite suggestions that he should leave well alone, Jonathan cannot resist looking into the matter. Intelligent life is an exiciting and interesting read. I must admit, at the beginning I didn't know, if I should accept it or not, because it wasn't really my genre, but I am happy I did. Intelligent life is such a funny read, full of interesting turns out. At the beginning I was a little confused. The story starts with a boy, Jonathan, who choked on a peanut, while reading a book. And he dies. He gets to experience his life again from the beginning. When the »movie« of his life arrives at the moment where he choked on a peanut, he forces himself back into his body. And he lives. Interesting beginning, I must admit. But then everything starts to get even more interesting and a bit confusing. He moves to his dad's place for a couple of weeks and here is where the actual story begins. The confusing part was with the chapters – every chapter was told by someone else's point of view. And sometime I needed to check twice to see who's actually speaking and what's going on. But everything else was ok. This book really focus on the fact of Randomness. I really liked the author perspective about randomness. The point is, that random and unexpected moments do affect us, but most od the time we're simply amused by them or briefly intrigued. They may make life a little more unpredictable, but they tend to make it more interesting too. And because these moments are not usually of serious consequences, we tend to just accept their unexpectedness as part and parcel of the way things are. – I love it! 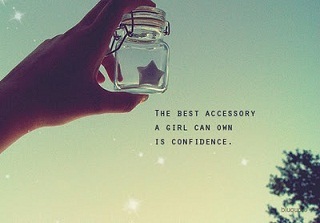 And I think it's so true. So, the story is about Jonathan's path through unexpected events that come in the way of his journey. Everything is happening in London and I really liked that. It reminded of the days I've been walking on the same streets, that Jonathan did. He has a funny father, which is so damn clumsy, that you need to love him. His father ex boss is hiding something very big. His father wants to figure it out. But he gets kidnapped and Jonathan journey starts with the search for his father. And the random things that come in the way, believe me, are hilarious! 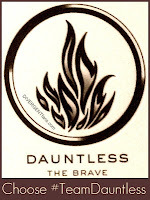 Just to show you how much they are, I'm gonna post a quote from the book below. Then there are these two »detectives« that wants to help Jonathan, and they are freaking hilarious! They were my favourite characters in the book, because everytime they showed up in the story, I've found myself laughing like crazy. Because they are, well, from another planet and you should see the way they talk and act and what they actually wear, OMG, hilarious!! Where did you get the idea for Intelligent Life? Well.... after the tsunami of Boxing Day 2004, I started to pay more attention to global catastrophes because eerily, my novel As Good As Dead In Downtown had predicted a tsunami in SE Asia and I had visited schools in areas hit by the tsunami before the disaster struck. So the tsunami had a strong impact on me. At the heart of Intelligent Life is the idea that people are unable to really grasp what is going on when something massive, random and unexpected happens. We live in strangely uncertain times. There has been a surge in the number of catastrophic events around the world – it’s a fact. 2011 really was the worst on record in terms of natural and man-made disasters. And this phenomenon drives the story. But I also wanted to look at how random and haphazard incidents seem to play a much bigger role in some people’s lives than in others. Some people sail through their lives with little or no drama. Others trudge through a storm of incident and disaster. I’m very intrigued by this. And why it happens that way. We like to try and understand our environment – the universe - and we like to feel we have things under control. We have a tendency to see patterns where there are none. And we have a tendency to see those patterns as real and absolute till someone or something comes along and shows us they were all an illusion. Till Copernicus came along, the world was the centre of the universe. Nobody saw that coming. Till 2004, there had been no large scale catastrophic tsunami in living memory. Now there have been two in 7 years. No one was expecting that. Till the crash in 2008, investors thought the bankers really knew what they were doing. The bankers thought so too. Now the world seems to be in an unprecedented and unforeseen state of continuous financial turmoil. What next? You’ll have to read the sequel to Intelligent Life for the answers! I've found the two "detectives" so freaking hilarious! So tell me, which character did you enjoy the most writing about? I’m glad you like them so much. They seem to be most people’s favourite characters. There’s so much doom and gloom out there in the real world today and for a long time now, it’s seemed to me, YA fiction has been wallowing a little too much in angst and dystopian bleakness. Lugubrious and Sidereal were great fun to write. But then so were the more sinister characters. Even they have their humorous sides. About the peanut. Do you really think such a small thing can have such a big affect? Of course. The science in this book is real! A thing’s size bears no relation to the degree of its influence. Take black holes, for example. Or Horatio Nelson. Another thing. From everyone's perspective Jonathan seems really intelligent, but then in the end, we see that it was actually all about randomness and not about intelligence. I've found it very interesting. Can you tell us, if Jonathan attended that exam in the end? I'm curious. That’s your interpretation. J Randomness plays its part, but in the end Jonathan’s bravery and a certain kind of intelligence play their part too. If you think about it, Jonathan’s actions, even before the book begins, play a key role in the ultimate outcome. (I’m trying not to give the plot away here!) I’m afraid you’ll have to wait for the sequel to find out what happens with the exam. Thanks for your comments about the interview! I hope you'll try the book for yourselves. You can of course, sample it and buy it on amazon, smashwords etc and www.neilarksey.com. Thanks for the review, Nea. I'm really glad you liked it. Did you ever try the embedded links? Hmmm. Were you reading it on a Kindle? Um, no. In Adobe Digital Editions :P When I klicked on the smile face, nothing came out. I think the embedded links only work on mobi and epub editions. Anyway - you like the story and that's the thing! This book sounds really different! I haven't come across it before (I don't think..) but I will definitely be adding it to the list. Great review Nea!